Whether I’m planning to be out all night or just doing date night dinner, being comfortable is always a top priority for me. As someone who is a self-proclaimed shoe hoarder, I also won’t sacrifice my style for comfort. That’s why when I’m looking for an occasion shoe (for a wedding for example), choosing the right pair makes all the difference in how I feel. 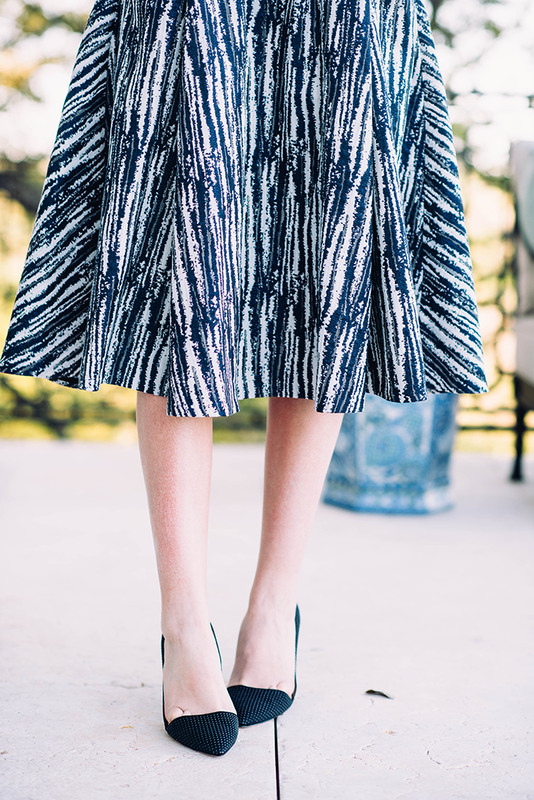 When I’m able to walk confidently (without wincing) and look chic at the same time, it’s a win win! Luckily I’ve found both in Imagine Vince Camuto. 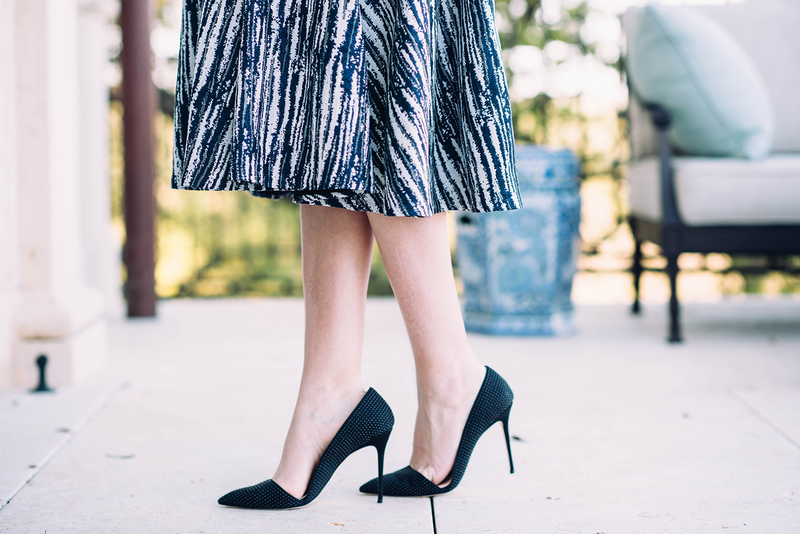 I found the perfect pair of black d’Orsay pumps that are both amazingly flattering and extremely comfortable. The subtle stud detail adds edge to a very polished shoe – I always enjoy a bit of intrigue! A few other styles from the new collection you can’t miss include this crystal-embellished sandal (ideal for an outdoor wedding! ), these sparkling silver heels, this pretty pair of peep-toe pumps. Click here to check out the entire Imagine Vince Camuto collection! That dress is stunning on you. Those heels are so pretty! And I love the cut out detail in your dress! The perfect look for a summer wedding! Love this dress length on you!! Ooh yes to those shoes and gorgeous dress! Love the cutouts in this dress! And those shoes are seriously adorable! I love anything d’orsay! I feel like they are so flattering. These are gorgeous on your feet and so great they are comfy! Love the cutout on your dress too! This dress is amazing! I love the side-cuts! These high heels are simply beautiful!